I have a really simple composition in QC that loads 8 images (.ai files which I have to export as .png files to use in Vuo) and have colour wells for all the images and I rotate one of the images according to a simple random generation algorithm. 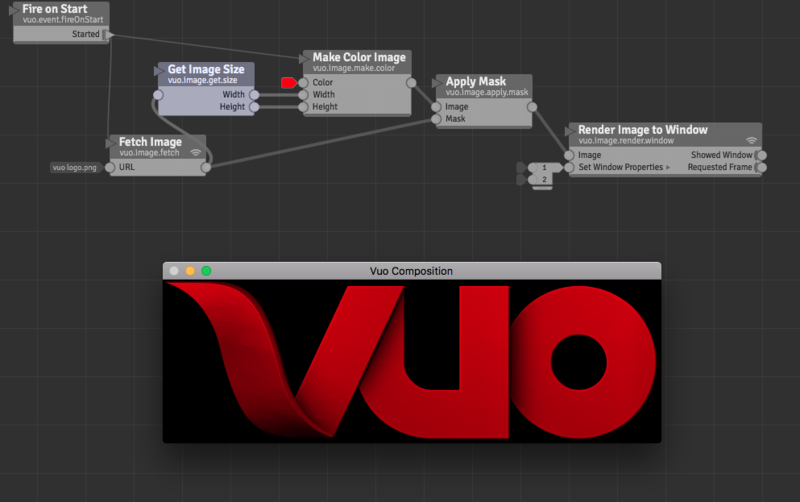 Vuo's Make Image Layer node doesn't have a colour input like the QC Billboard patch. Looking for something equivalent to sprite/billboard with colour tinting of image function. What is the easiest way to apply colour to the images and added them all together to make the final image to export using the image protocol so I can make a movie file with motion blur? I have it working in QC but the motion blur in Quartz Crystal seems to be not working any more on my system (10.12.6). 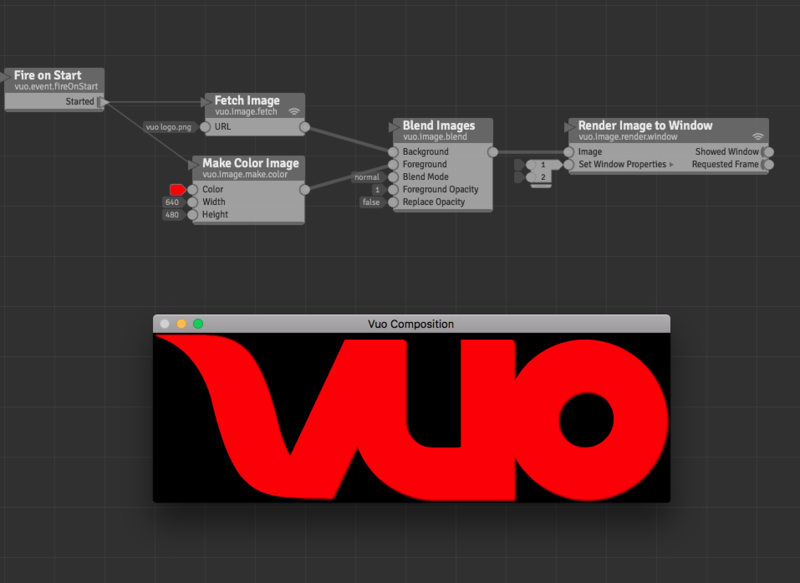 I don't know if there's a work around for Quartz Crystal so trying to remake in Vuo but I can see the easiest way to apply a seperate published colour value to each white image. 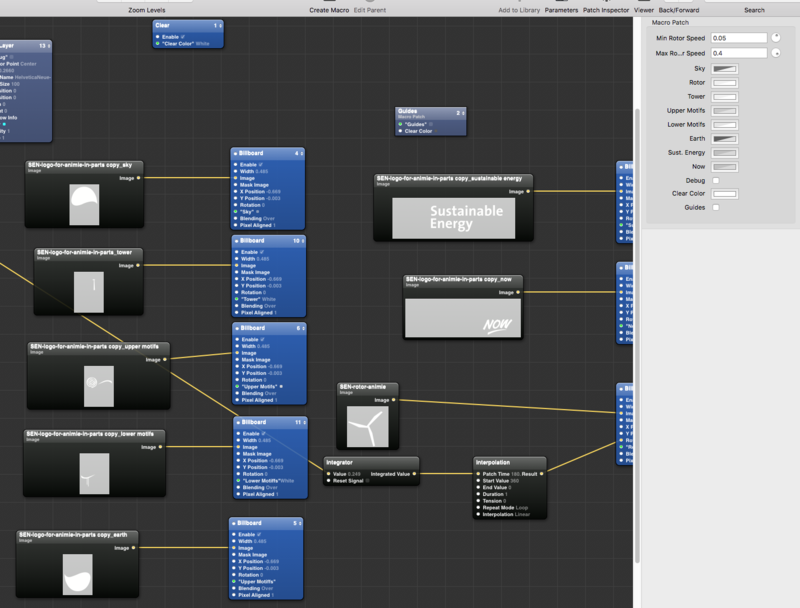 Reason I'm was doing with a program not in After Effects is I want a video bug to overlay on video recordings that will run for over an hour of it with rotations (with variable speed of rotation) of one the objects (A wind turbine in a logo) so I can render out 90 minutes in a short time and the rotations with be variable random speeds. If I knew how to write an expression in AE I'd do it that way with a Dynamic Link in Premier Pro (would probably have saved me hours!) but I started also making this as a layer for mimoLive for use in live streaming and recording of events. A workaround for the slider range is to publish the port and then right click on it and edit details (also sets default increment size). Also for easier placement, add a layer under the images you want to place and then use that as a guide to place them on the canvas. 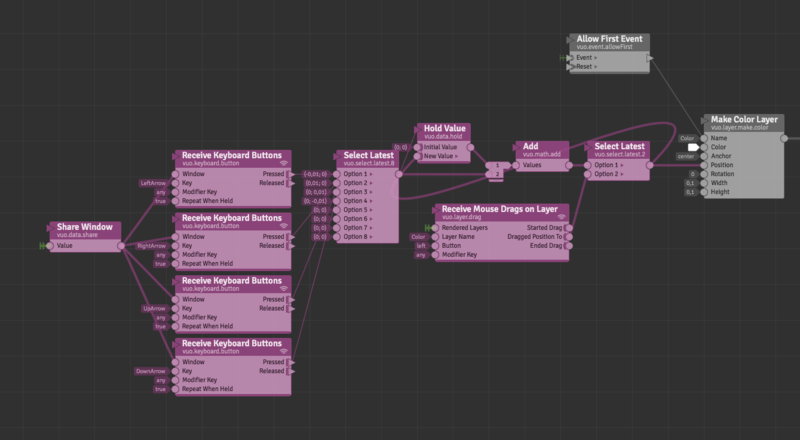 An additional way to attack it is to snap guides to the center of a selected layer in AI(? I just use Phototshop, but I'd guess you get the same info in AI?) then observe and note down where the center point of the layer is. Then it should just be a matter of typing in the coordinates. Generating and appending to an XML or text file?? ?